As we previously discussed, many are concerned about the tax-overhaul bill that was recently passed by the House of Representatives because it included a provision repealing the ability for individuals who pay alimony to deduct that payment from their taxes. This would apply to any divorce agreements signed after 2017. Fortunately, there is still a chance that any final bill passed by the Senate will not contain the provision, as the Senate’s version of the bill currently does not contain it. Still, the potential to lose the deduction is causing many couples to complete agreements with their attorneys by year-end. 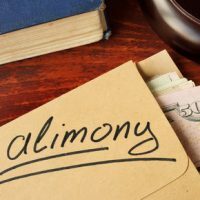 Alimony (or “maintenance”) payments are meant to soften some of the financial repercussions of splitting one household into two as the result of a couple divorcing. Historically, allowing for an associated tax deduction has provided benefits to families because the individual who is paying alimony (and thus gets to take the deduction) is in a higher tax bracket than their ex, and the deduction that they can take tends to be higher than what the receiver has to pay on taxes for the received alimony. It has also been helpful in terms of assisting the paying spouse when they do not have assets to help them fund the payments, or even potentially serving as an important “bargaining chip” in enabling a settlement to be received more quickly and efficiently due to the forgone tax deduction. For example, it could turn a $1 million total alimony payment due over the span of 10 years into a lump sum of $500,000, in part due to this deduction. According to statistics, in 2015, approximately 600,000 of the 815,000 people who filed for divorce in 2014 then deducted their alimony payments from their tax filings. There is no question that if the deduction disappears, maintenance payments will be smaller and lump-sum settlements less frequent because the tax deduction cannot be counted on. While those behind the change have claimed that divorced couples should no longer have access to a means of reducing income tax, as compared to married couples, others have pointed out that, in fact, the tax code currently favors married couples, and thus the alimony deduction was meant to try and ameliorate the loss of those married-couple-tax-benefits during the first few years after a couple has divorced. There is no question that doing away with the deduction would change the many economic considerations that go into divorce. If you are in the process of going through a divorce and are concerned about alimony, working with an experienced family law attorney right away is essential. Your attorney can help work with you to ensure that you are protected given the potential repercussions of the upcoming tax changes; specifically, in ensuring that language is included in any agreement in order to address the potential change. Contact our experienced Florida alimony attorneys at the Arwani Law Firm today to find out more.